Padania is a name given to a region in northern Italy, which takes its name from the Po River Basin. The borders are ill-defined but in the 1990s a leading member of Lega Nord, an Italian political party, put forward the idea of Italian federalisation, creating three smaller states within Italy – Padania in the north, Etruria in the centre, and Mediterranea in the south. 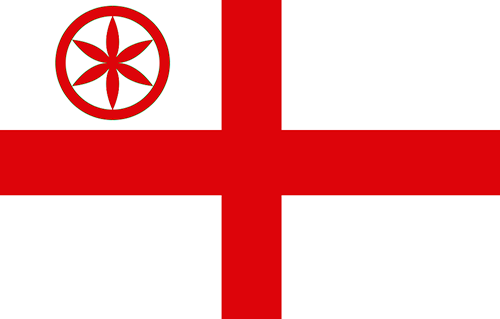 Lega Nord advocate for Padanian independence or at least greater Padanian autonomy. In 1996 they formed the “Federal Republic of Padania” and elections were organised for a parliament in Mantua, although the republic was a short-lived one. Although many in Italy, and particularly in Padania, do advocate for greater levels of federation in Italy and autonomy in Padania, calls for full secession are not strongly favoured among the general public. Padania are one of the major players in non-FIFA football. They participated in three of the five VIVA World Cups (a predecessor tournament to the ConIFA World Cup between 2006 and 2012) and won all three. They have also participated in both ConIFA World Cups to date, though failed to reach their previous high standards going out in the quarter-finals in 2012 and the semi-finals in 2014. They’ll be wanting to go at least one better in 2018, and can look to their championship winning form in both the 2015 and 2017 ConIFA European Cup for inspiration.